When the popular coupon site, LivingSocial, gave customers the one-day opportunity to pay $10 in advance for a $20 Amazon gift card, it seemed like just another bargain. After all, these online discount sites like LivingSocial and Groupon offer similar deals every day. 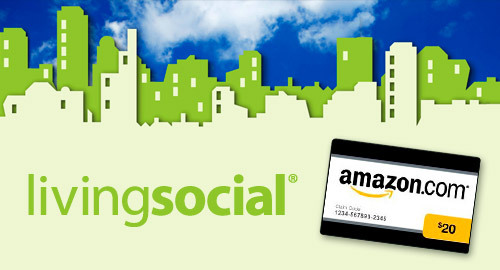 Surprisingly, consumers thought it was bigger than just another bargain and promptly purchased 1.3 million of these vouchers, netting $13 million in cash upfront for LivingSocial and Amazon, and making this the most successful coupon campaign in history in terms of gross revenue, as reported by MainStreet.com. What was the secret to that success? The secret comes down to the size of the retailers. Online deal sites usually offer coupons for neighborhood stores and local activities. Yet the highest grossing deals come from national, big-name retailers, as evidenced by the above Amazon deal as well as the second-largest success story where Groupon offered half off of a $50 gift card for the Gap. Customers purchased almost half a million vouchers and netted nearly $11 million in revenue for these two companies. Obviously, national retailers have a much broader reach with a higher volume of stores and a greater brand presence than local establishments. Consumers are also less hesitant to purchase coupons for brands they’ve purchased before, which is highly likely with these big-name retailers. In addition to making a quick $13 million, Amazon will also benefit from the increased awareness that LivingSocial has brought to the brand. These online deal sites offer retailers direct entry into the social media realm and get people talking, tweeting and texting about their brands. MDG Advertising, a full-service Florida advertising agency, with offices in Boca Raton and New York, NY, specializes in developing targeted, Internet marketing solutions, exceptional creative executions, solid branding and media buying strategies, social media marketing and SEO development that give clients a competitive advantage. To view all MDG corporate identity projects, collateral design, signage, TV and Web design, click here.